On July 9, 1951, I’d flown three combat missions since early morning and thought I was through for the day. I’d told my crew chief to pull the Mustang’s cowl and check an oil leak we’d seen. I was in squadron operations when I learned an unscheduled rapid response mission had to be flown. I told them my bird was out for maintenance, but operations told me to take the squadron’s spare plane and go along. So, off I went in the spare airplane. After we’d flown about 50 miles beyond the “bomb line,” the 12th Fighter-Bomber Squadron group commander radioed to release the spare airplanes to return home. I was the only pilot in a spare, so I peeled away from the flight. Since I had two 500-pound bombs, four 5-inch rockets, and a full load of .50 caliber machine gun ammunition on board, I started looking around for targets of opportunity. I flew over a small village where, near a bridge, I saw six Chinese military trucks. I immediately rolled in and made two bomb runs, hitting the bridge once. Then, I made my rocket runs against the trucks. I was shot at during each run by .50 caliber 20 mm and 40 mm anti-aircraft guns. None of the flak came too close, but the trucks didn’t move; they were dummies. I’d been suckered into a flak trap. After my last strafing pass, I pulled up to go home, leveling off at 6,000 feet. I was about to call control on the radio to alert them of my return so they wouldn’t “call out guns” on me — when my bird took a monstrous 40 mm hit in the right wing root. The airplane immediately snap-rolled out of control, and the cockpit filled with smoke. I pulled the canopy release. The canopy came off clean, but the cockpit filled with fire. I tried to stand up to get out, but the aircraft was snap-rolling so badly I couldn’t kick away. I was violently thrown back into the fire, and then, just as violently tossed out of the cockpit. On the way out, I slammed into the aircraft’s tail. The impact knocked me out for a few seconds. But I quickly regained consciousness and pulled my parachute’s D-ring. The chute billowed out; I swung twice, and then hit the ground on my back. I couldn’t move for several seconds. I lay there on the ground, unable to move at all. When I turned over on my side, I saw a Korean man standing at his doorway looking at me in amazement. I had been shot down 40 or 50 miles behind enemy lines. I pulled out my .45 automatic to “cover him” but quickly and painfully realized I couldn’t stand up. My left shoulder was broken, my right leg hurt badly, and a few of my ribs were caved in. The man didn’t run; he just stood there transfixed. I struggled and finally got out of my chute harness and waved him over. I desperately needed help to get out of there. He was old, small, and very scared. I got hold of him, turned him around, and, after a few tries, finally got on his back piggyback-style. He carried me south. He could only haul me a short distance before he had to stop and rest. After about an hour of this, I heard the sound of airplane engines and looked up to see an SA-16 “Dumbo” amphibian rescue aircraft. How’d they find me so quickly? I wondered. I fired my flare. The pilot signaled his recognition by rocking his aircraft’s wings, then turned away. I mounted up, and we started south again. Thirty minutes later, a half dozen Chinese soldiers started shooting at us. They were quite a distance away, but I could see each of them clearly. As they got closer, we dropped low behind a rice paddy dike. I fired at them with my .45 automatic. I guess just the sound of the big weapon stopped them — but just for a minute. They started moving closer again when I heard the sound of a chopper. I fired another smoke signal. The helicopter pilot landed on the dike, and two crew members came running out to pick me up. The old Korean helped them carry me to the helicopter. I wanted to take the old man with us. I was so grateful for what he’d done. But the pilot said, “Absolutely not!” So off we went — but not before we were fired upon from the ground. I was injured again when hit by ground fire. Since I had been flying alone and didn’t show up at base, my outfit had reported me missing. The morning after my rescue, I awakened in a hospital. I gave out my squadron information, and the administrator let my people know where I was. The following day, my squadron CO hopped a plane and flew over to check on me. I visited with him, and then told him I wanted to get out of that hospital and go back to flying airplanes. Two days later, the CO returned with two of my pilot friends. They checked me out of the hospital, and the three of them picked me up and carried me to a waiting car, drove to the airport, and hoisted me into a safe old C-47 “Gooney Bird” transport. But, that wasn’t quite the end of my adventure. Our home base destination was “mucked in” by strong winds and awfully rainy weather. On landing, the C-47 driver landed too long, going too fast … on a very wet and slippery runway. On and on, then off we went … right past the far end of the runway. We hit something, and then nosed over … the Gooney’s tail was pointing toward the sky. 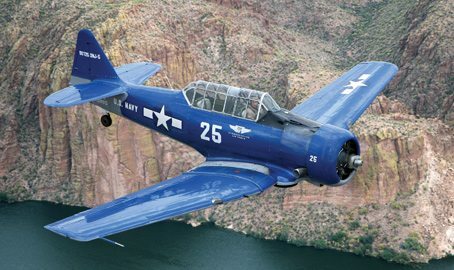 In the blink of an eye, I was hanging from my seat belt thinking, All of the crap I’ve been through in combat, and now I’m going to die in an old Gooney Bird. The maintenance crews finally got the Gooney’s tail down. We left the battered and wounded transport and, once again, I was checked into the base hospital. After three weeks of recuperation, I was sent on temporary duty to Japan for an Escape and Evasion debriefing. Any relevant facts, knowledge, and skills leading to a successful E&E had to be passed along for possible use by other crews. I limped along on my cane in Tokyo. All of the hotel rooms had been booked, so I had to stay in one of the rooms on the main floor of a large hotel. I was unpacking my bag on the cot and into the wall locker when a lieutenant came in and sat on the cot next to mine. He asked what was wrong with my leg. I gave him a quick summary of what had happened. He looked at me with a funny expression on his face and began asking me about the specific dates and times. It turned out he was a radar rescue controller who had been on duty at the radar scope on the day I was shot down. He told me he had seen one blip on his radar screen that became two blips — he had been watching as the right wing of my airplane fell off. Then both blips had disappeared. He said he thought, “That’s a really strange one.” On the same screen, he had also seen an SA-16 amphibian blip. Since that rescue aircraft had been the closest to where the other blips had disappeared, water rescue or not, he had ordered it to check out the strange blips. The radar lieutenant and I remained in Tokyo for several days. If he glanced at or indicated an interest in anything, I bought it for him; he lacked for nothing. We stayed in touch for a long time but eventually lost contact with each other over the years. I had been shot down on my 70th mission. After a short period of recuperation, I was returned to combat flying and was able to finish my 100-mission Korean combat tour.